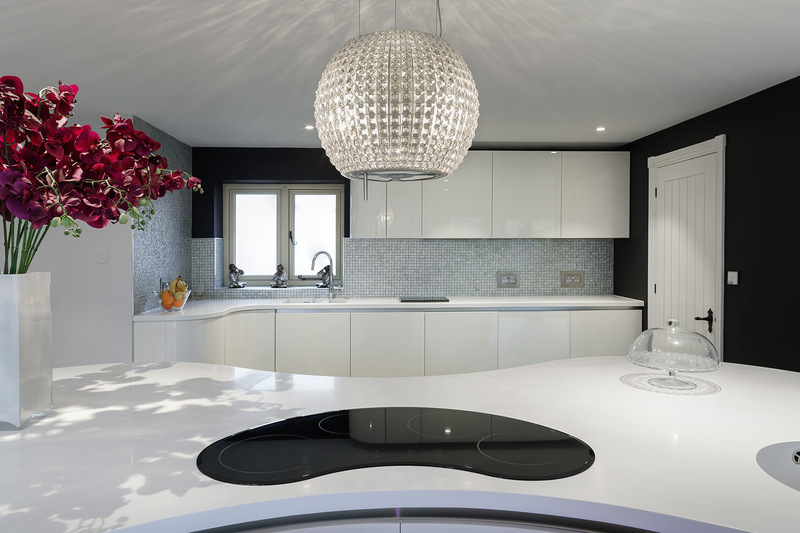 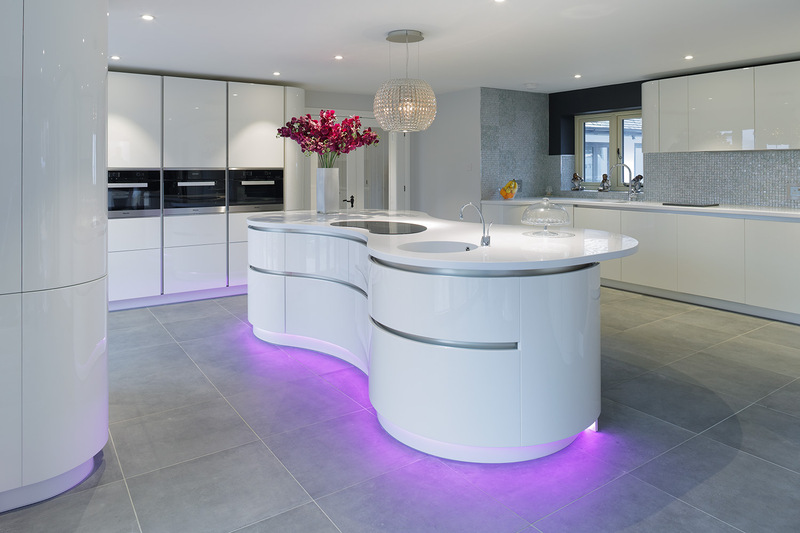 Astounding Interiors were assigned by a private client to design and build a unique, contemporary and handleless kitchen. 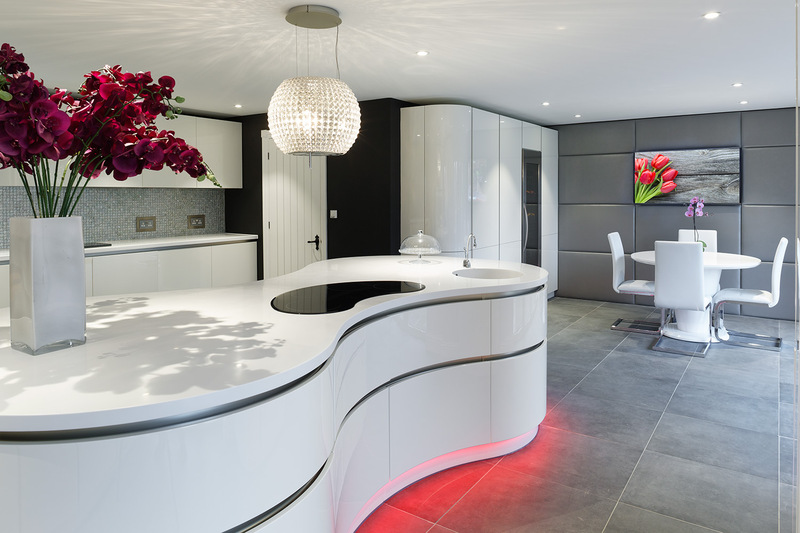 Our Innovative design, defined by asymmetrically curved base units, echoes flowing forms found in nature. 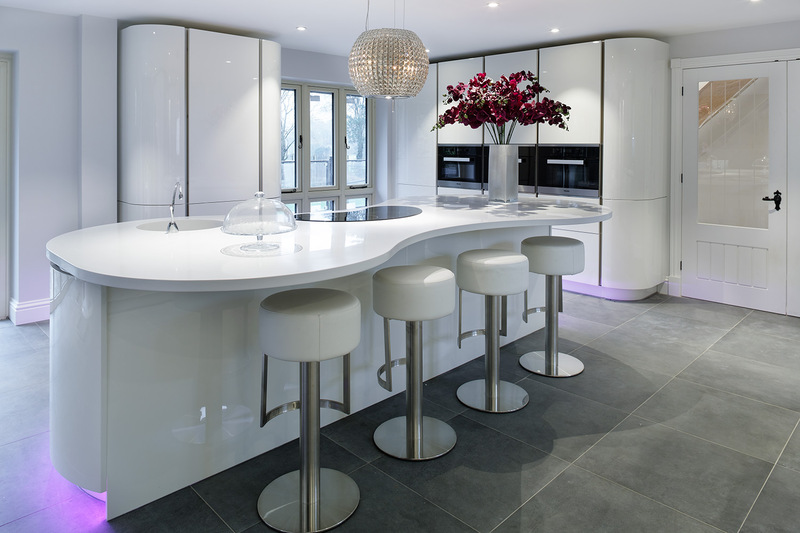 The exclusive kitchen’s Opening is achieved by a groove on the leading edge of the extra thick front panel (base units) or by a vertical aluminium profile (units). 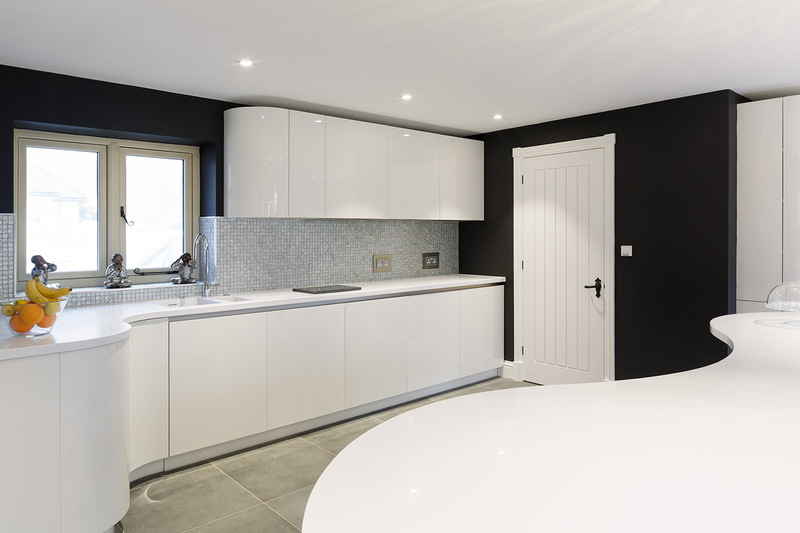 We used cutting edge materials to achieve a one piece three metre seamless designer white worktop with an inset sink and instant hot water tap. 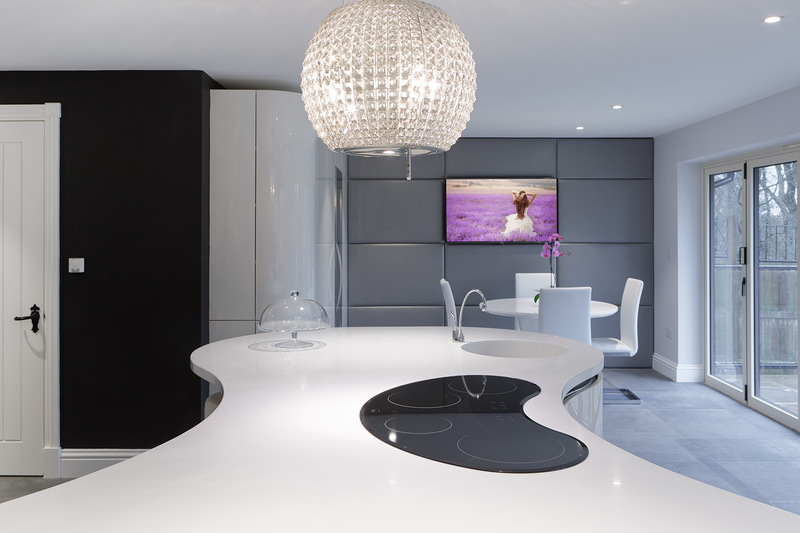 Astounding Interiors designed a metallic leather padded wall to fit the client’s flatscreen tv seamlessly, thus improving the aesthetic’s of the room. 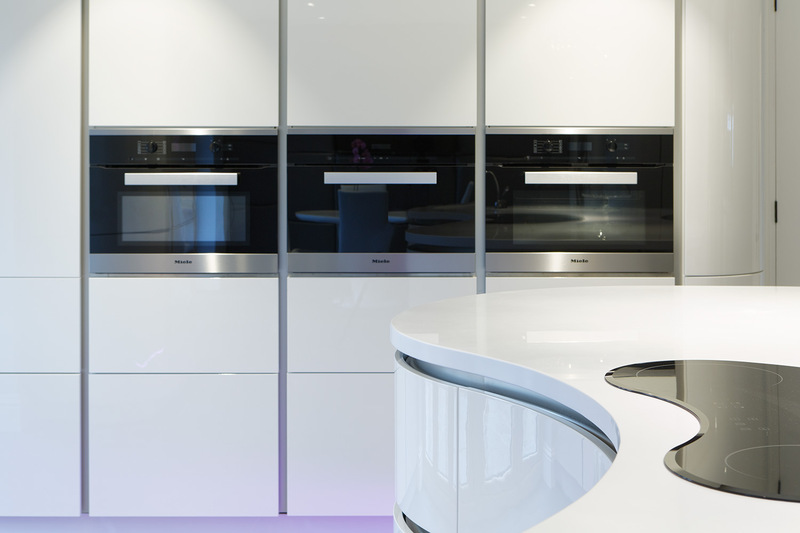 We added an Elica Celestial extractor to remove cooking odours combining functionality and design.